UV bonding, originally a technology used in aircraft, is the ideal solution for securing components in place; this is a major innovation offered by Samo, as it allows for invisible bonds with high mechanical strength, and easy cleaning of the glass for the end customer. For years, our sliding doors have used a door-release system, in which the lower part of the sliding door can be pushed aside from the stationary part to facilitate the cleaning of the glass. 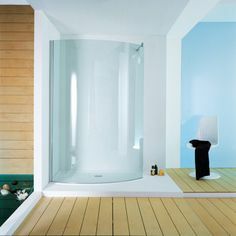 One technical aspect that distinguishes it from conventional shower solutions is the slowed closure of the sliding doors. With the use of a completely invisible mechanism, Soft Close technology makes the gentle and silent opening and closing of the sliding doors possible. architects, designers, and industry communicators and operators. Our portal is the starting point for the e-Samo services network, an open door to the world of available information in Samo: through a single entry point, Clients, Agents, Service Centers, and Architects can reach a vast range of existing content, information, services, and applications that we share with our colleagues, customers, partners, and suppliers.